People. Places. Things. is your community in your pocket. Capture the things you care about for others to discover, and engage in dialogue with your community. Summerworks is Canada’s largest curated performance festival, bringing together contemporary theatre, dance, music and live art in Toronto. 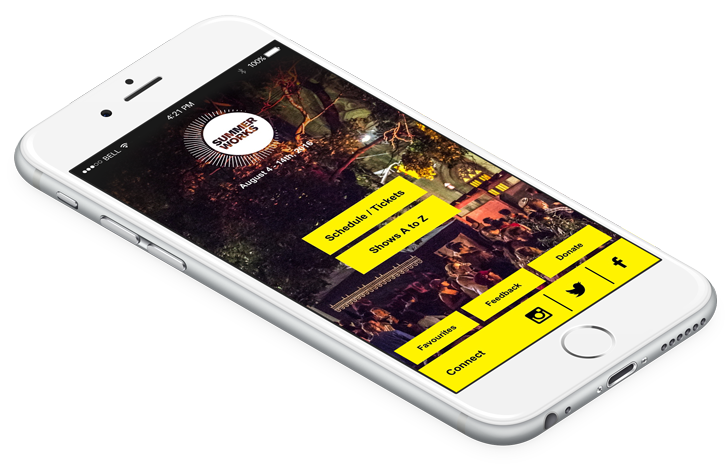 With the Summerworks 2016 smartphone app, festival-goers could stay in the loop with the inside scoop. The key was educating and engaging the public for positive change. In comes Small Acts, Big Impact. 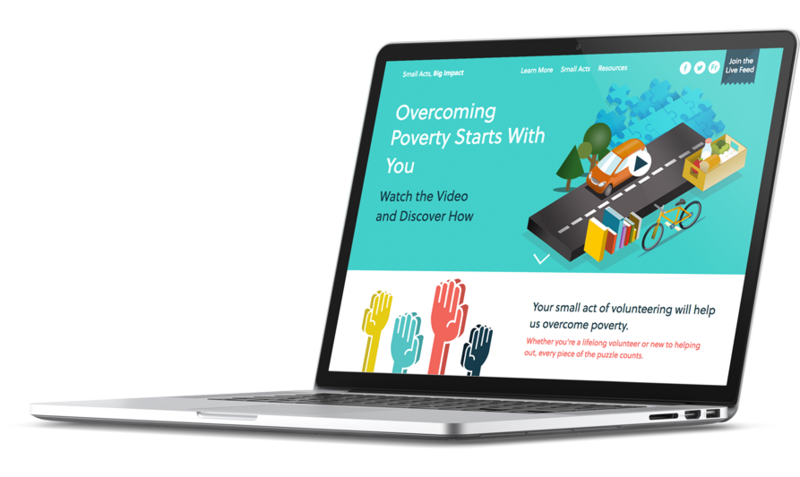 ESIC noticed three core issues contributing to the poverty cycle: literacy, food security, and access to transportation. Together, we can make a big difference. 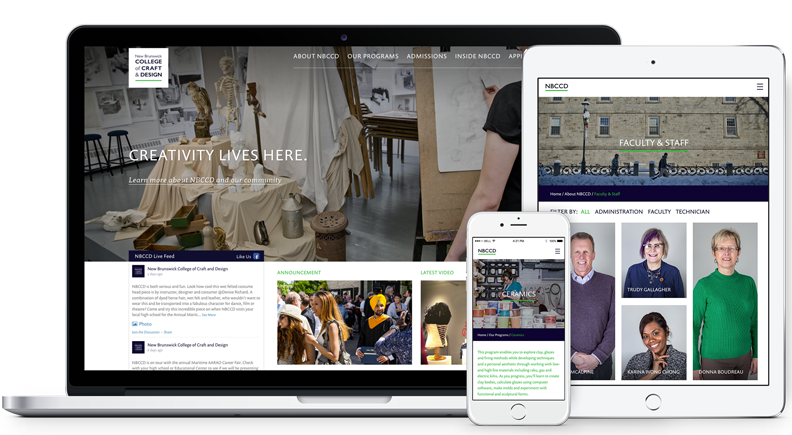 A craft and design school needs a website that really pops, but also communicates clearly. 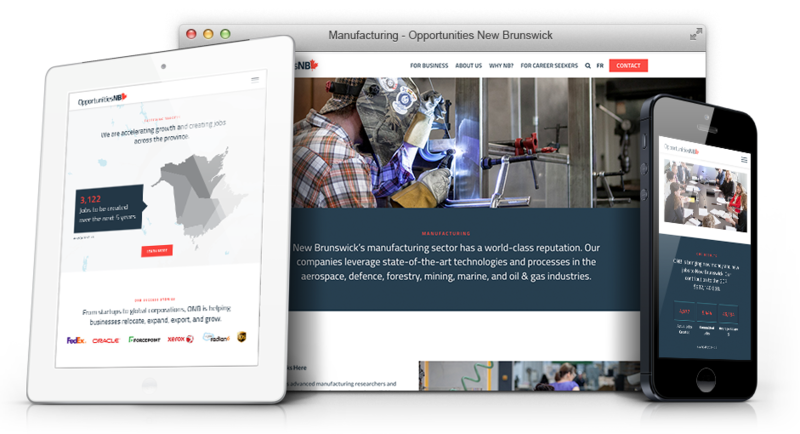 Many post-secondary websites are a nightmare to navigate, but the NBCCD site is a dream. Visual, well organized, and beautifully responsive. When news flies at the speed of light, it’s important to take some time to reflect. 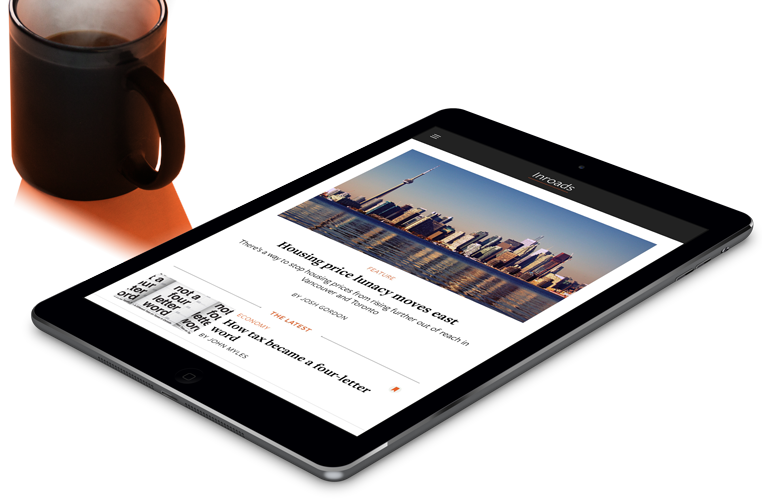 Inroads Journal is a premier Canadian academic journal focusing on domestic and international politics, with thoughtful articles by expert contributors from around the world. 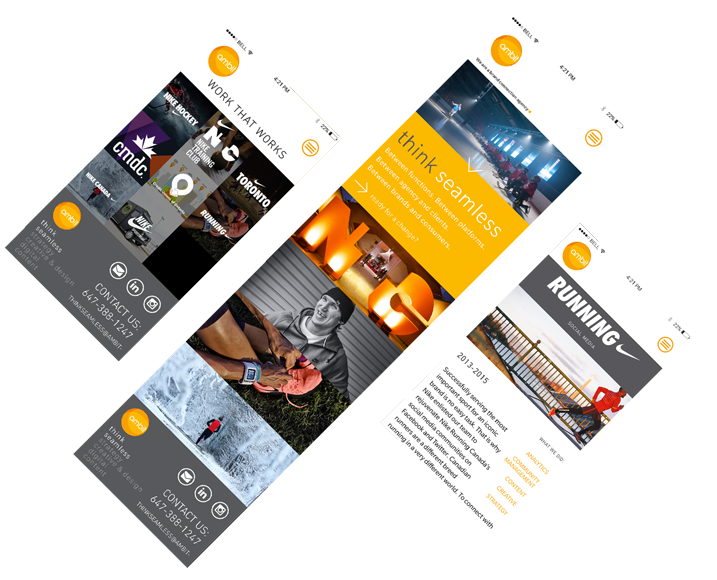 We produced a site that speaks to the Ambit point-of-difference, “think seamless”; with a smooth scroll, mobile-first responsiveness, and premium hero imagery, the Ambit shines by elevating their work strategy and team depth. 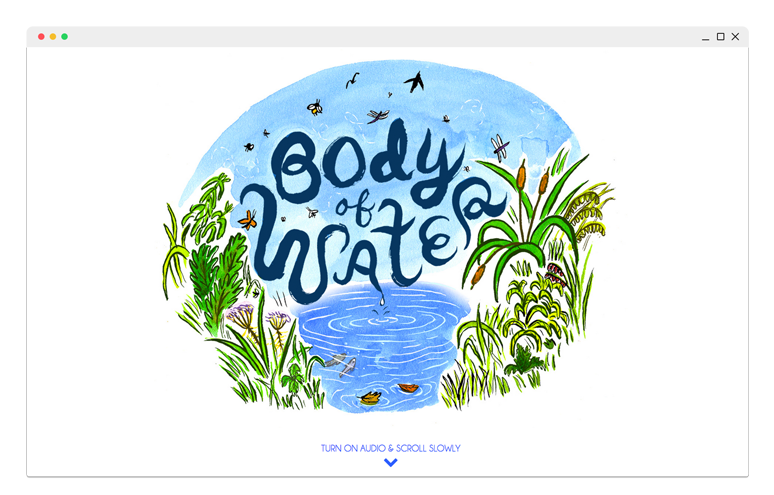 Body of Water is what happens when a fantastic audio author translates her story into a visual medium. This is about as meditative as the internet gets. Sit back, put on your headphones, and scroll to take a refreshing plunge into the lake. I am a maker of interactive tools, practical and impractical. There are two crucial threads common throughout all my creation: interaction and communication. I am fascinated by input/output, interface, feedback, transformation and engagement. I am resourceful and passionate to develop rich and surprising experiences. 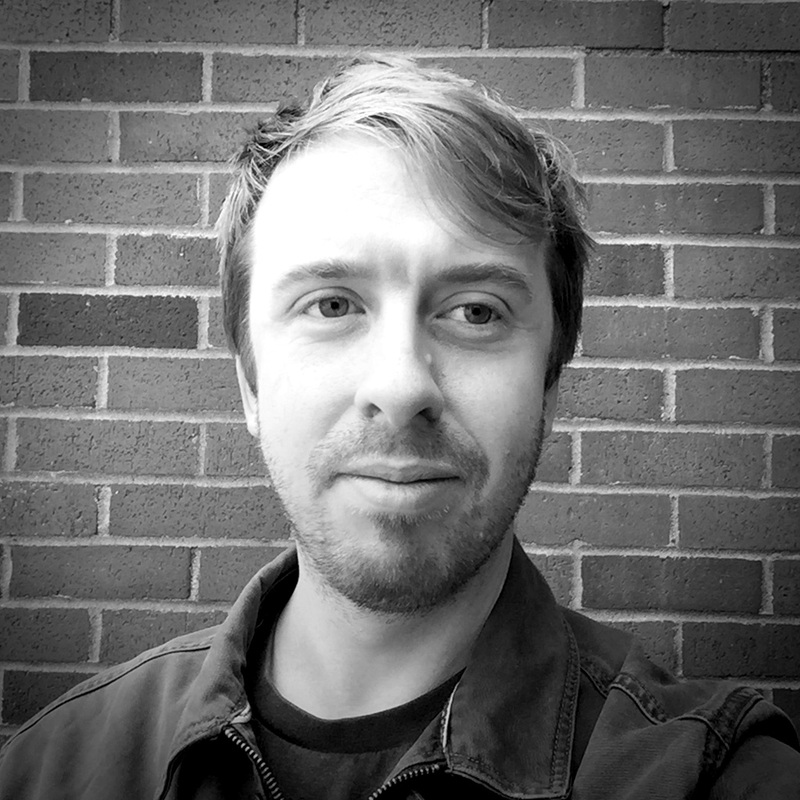 I'd love to hear what you're working on! © 2019 Lukas Steinman | Design by The Details Design.